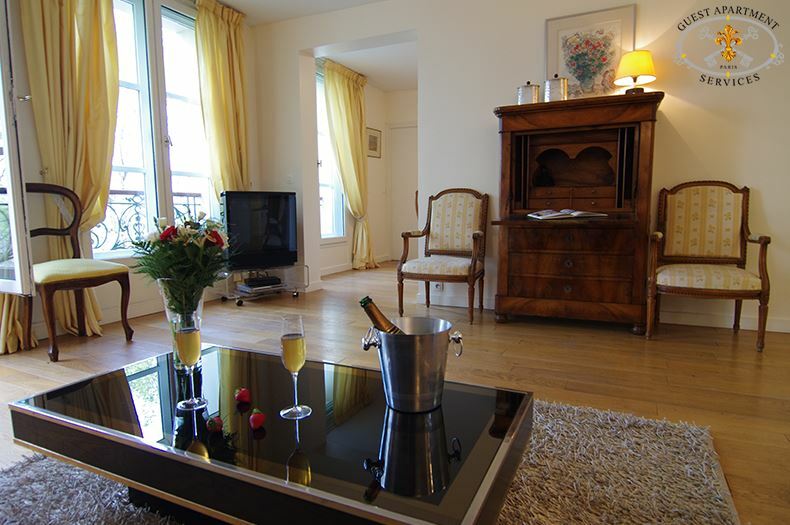 This comfortable apartment is located in a 17th century building on the third floor with elevator and offers wonderful views of the Seine River. 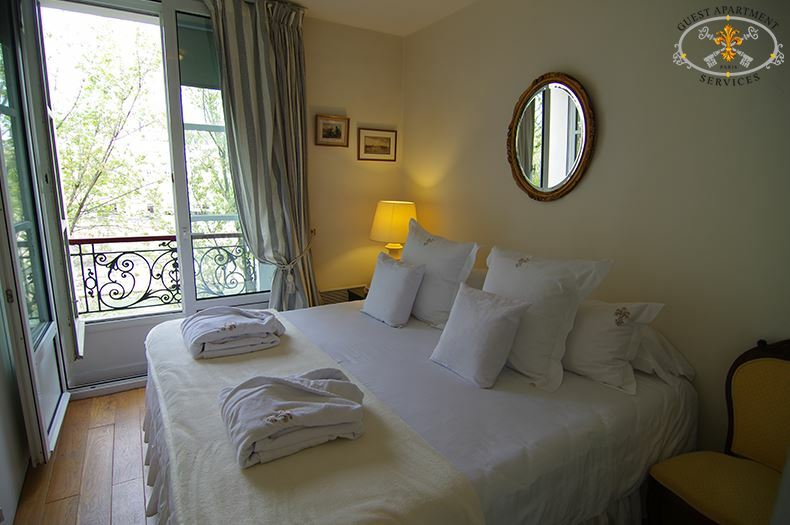 The Ile Saint Louis is located at the historical heart of the city, a small island in the middle of the Seine and one of the most charming and exclusive neighbourhoods the city has to offer. 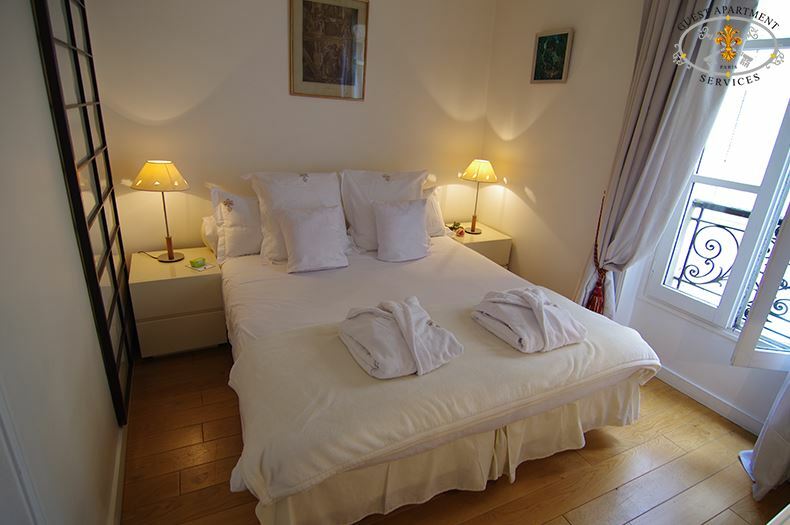 The setting could not be more convenient for exploring every arrondissement- a 5 minute walk to Notre-Dame Cathedral, Beaubourg and the Marais. 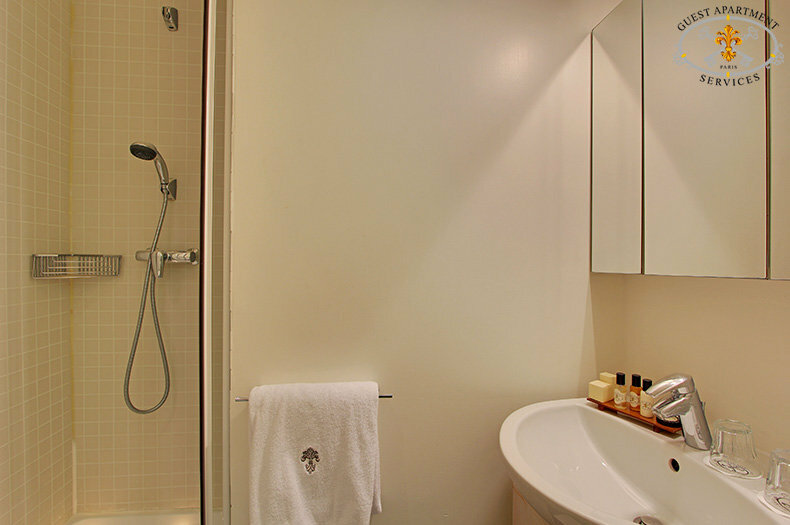 You are also a short walk from all the necessary shops and services which will make your stay especially comfortable. 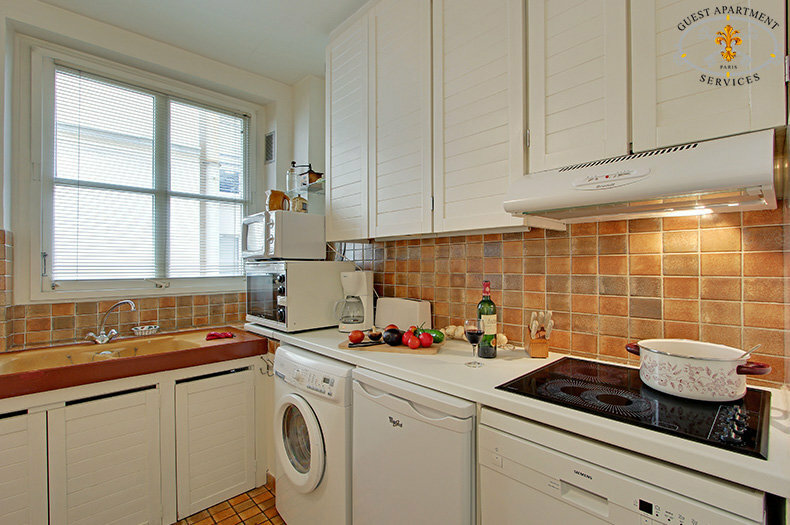 It is an ideal location spot for a Paris vacation rental stay. 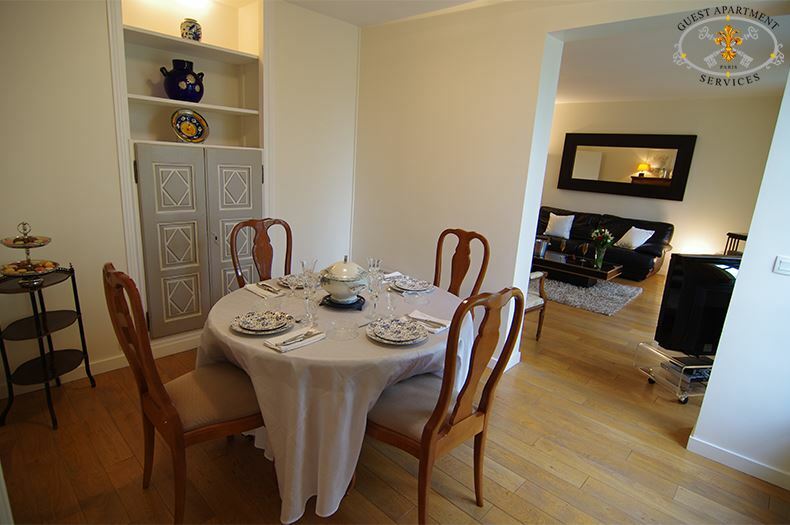 This comfortable apartment is located in a 17th century building on the third floor with elevator and offers wonderful views of the Seine River and the Right Bank. You will find close by to your apartment a pharmacy, a post office, a news stand, a bakery, art galleries and a grocery. In the main street restaurants, shops selling quality food and fresh produce will meet your basic and gourmet needs. 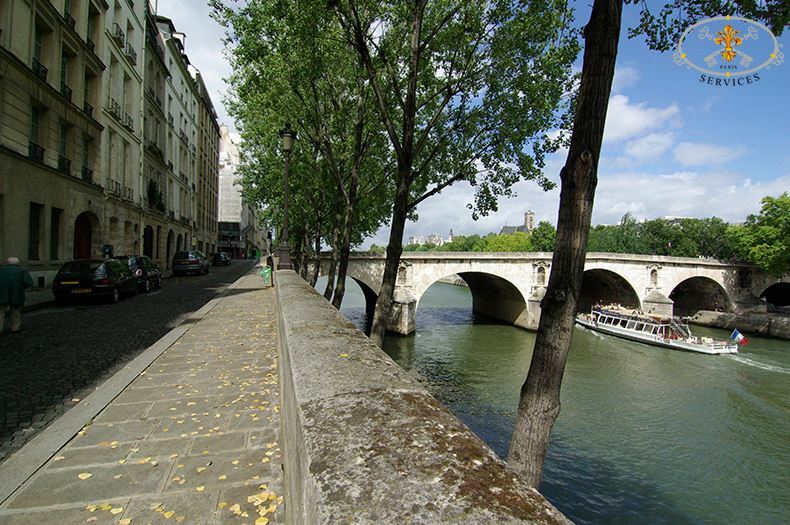 Not only will you be at the heart of Paris but also at the heart of a village life. The island is a true change of scenery. 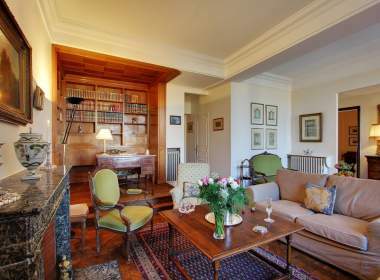 The combination of all the charm of "Le Grand siècle" with all the comfort and convenience of the 21st century will transport you in a soft ambiance in this Paris flat.. 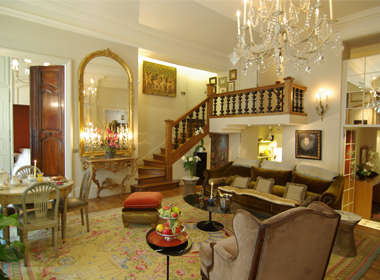 The apartment is easily accessible by either elevator or stairs. 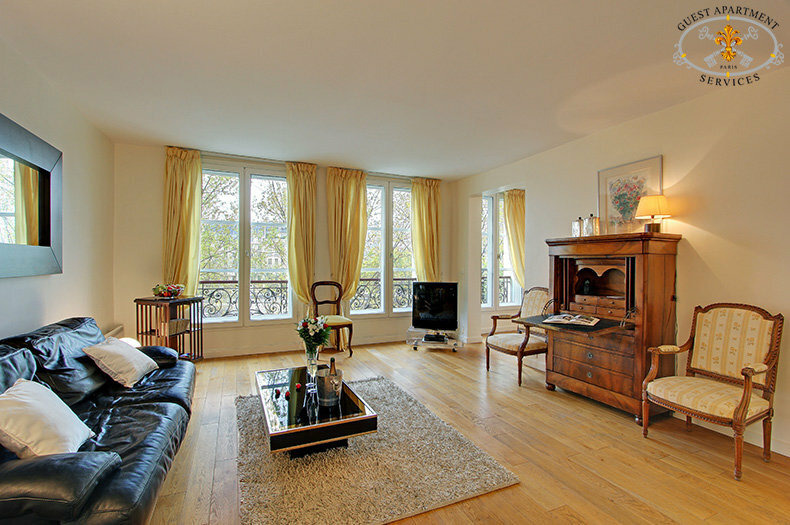 The living room is spacious and is combined with the dining area. 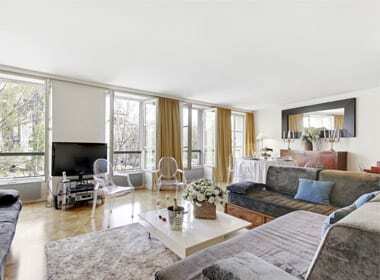 The large, double paned windows provide plenty of light and views on the river. Sheers and curtains provide privacy and intimacy for early morning and late night relaxing. In the living area the sofa, armchairs and cocktail table make the perfect space for organizing drinks with friend or simply relaxing there. 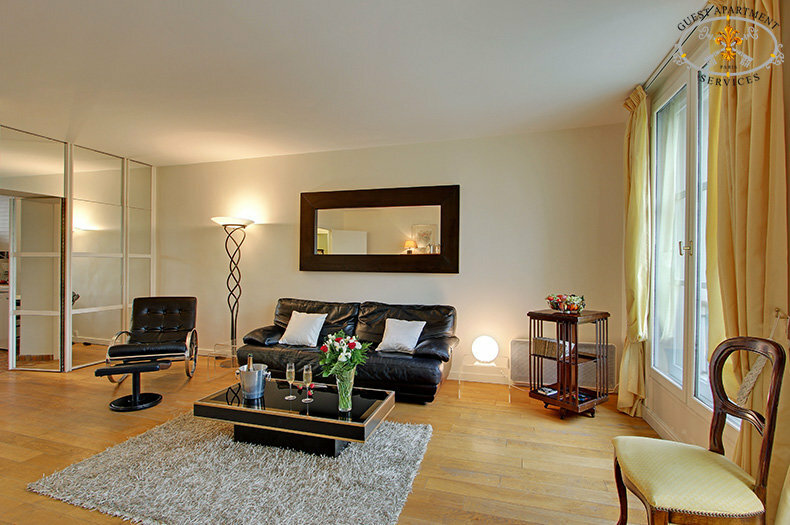 A mirror over the couch reflects abundantly the light into the room. 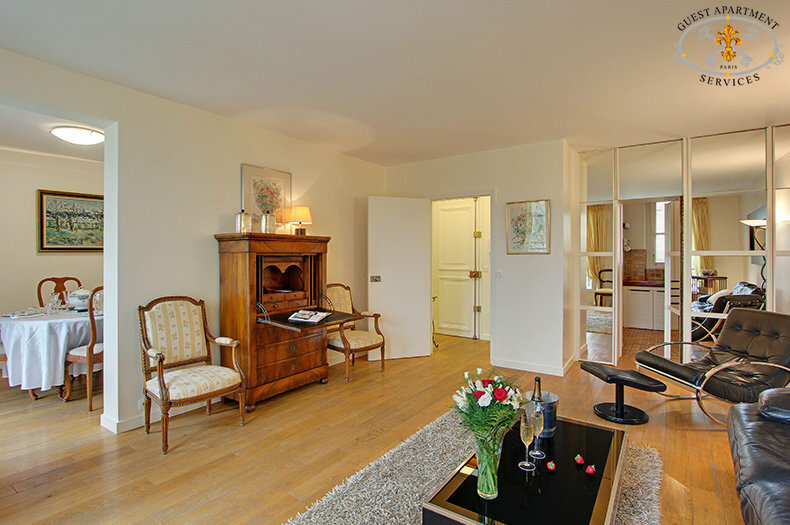 Prints and paintings add to the charm of this Paris apartment rental. A color TV with cable and of a hi-fi stereo with CD player provided entertainment anytime. The dining room offers a nice antique wooden in Louis XVI style table with four Louis XV style chairs for your lunches and dinners. 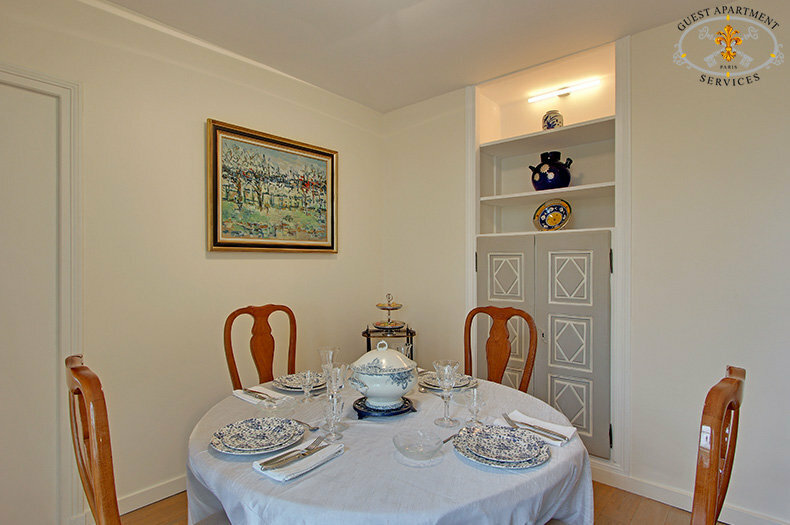 A large built-in china cabinet completes the dining room. The new, large kitchen has a convivial atmosphere. 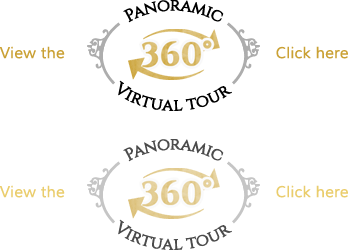 You will be able to prepare on the work surface your own meals. 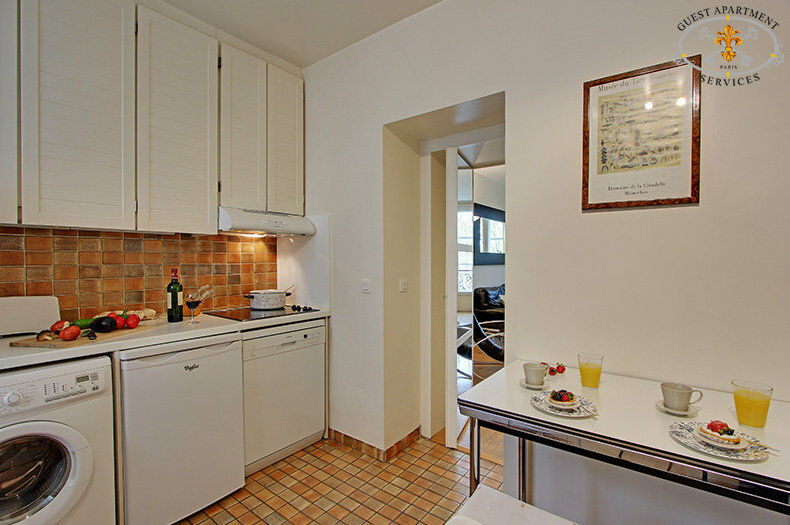 The kitchen is fully equipped with an electrical cooker unit with four vitro-ceramic burners with extractor hood and oven, a dishwasher, fridge and freezer, a microwave, coffee maker, electric kettle, toaster, cupboards containing dishes and cutlery. The kitchen has it's own window over the south-side courtyard. 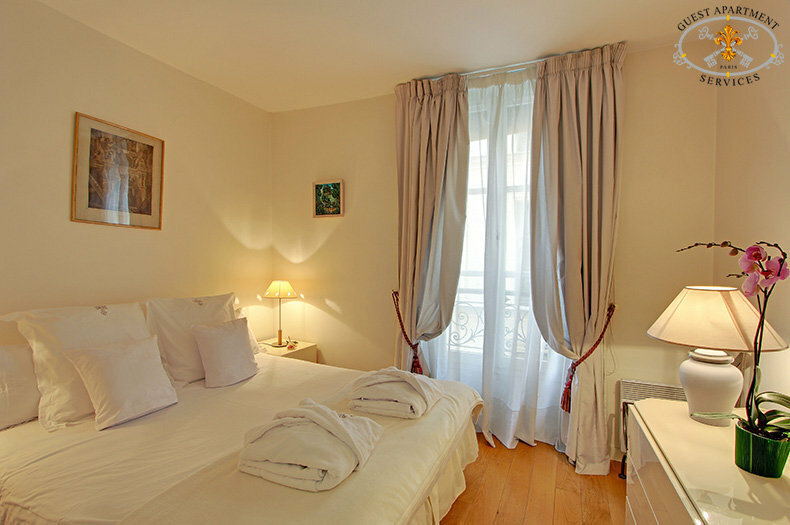 One bedroom has a king size bed with two bedside tables with reading lamps on both side and the other bedroom has a queen size bed. 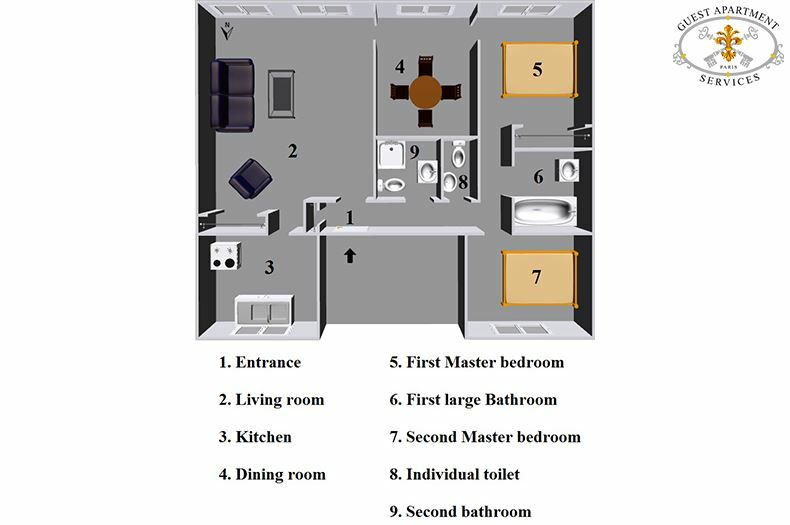 Large, mirrored closets will enable you to arrange your personal belongings and luggage. 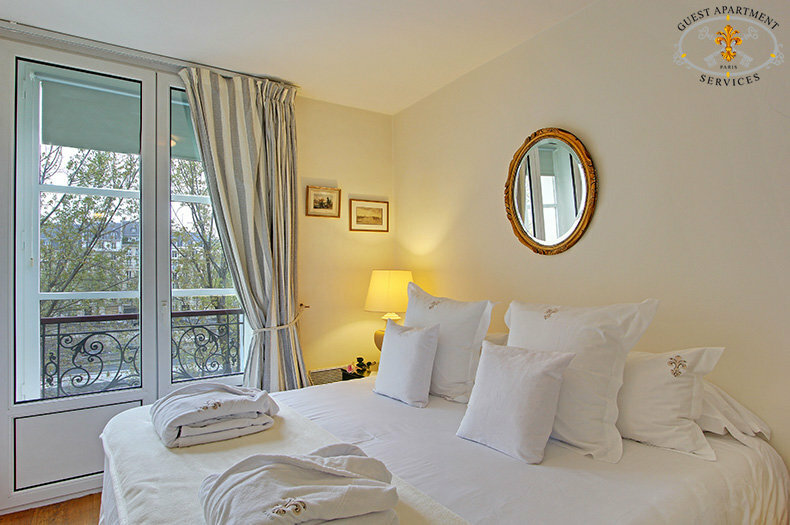 Quality linen is provided to all guests for each Paris vacation rental arrival. 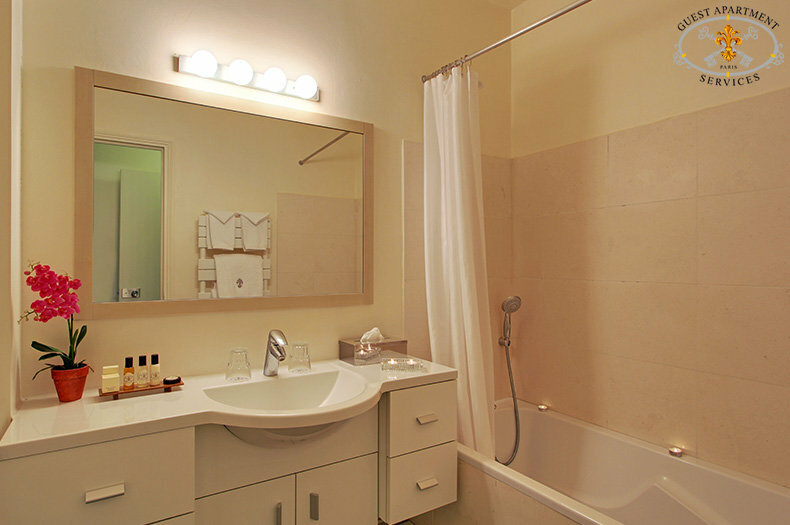 The larger bathroom has a bathtub with shower fixture, a wash basin, lit mirrors and cabinets. The separate toilet is accessible in the hallway. Hair dryer and iron are provided. Washer/Dryer combination available. 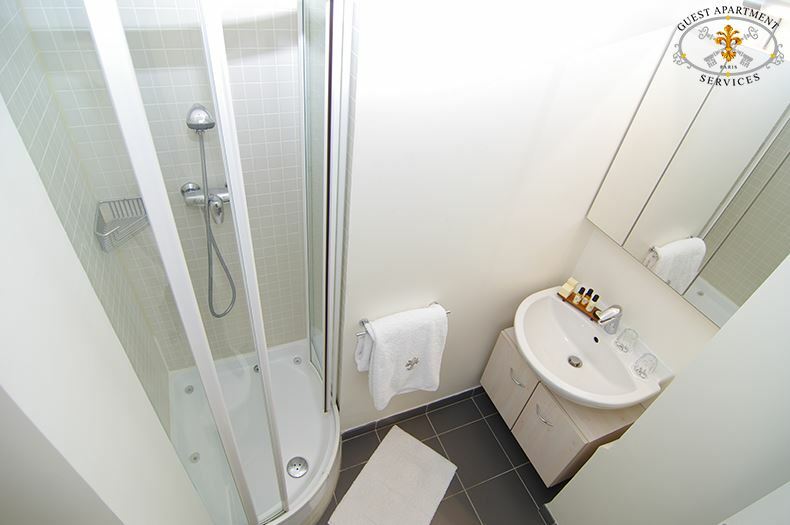 The smaller bathroom has a shower stall, wash basin and a toilet. 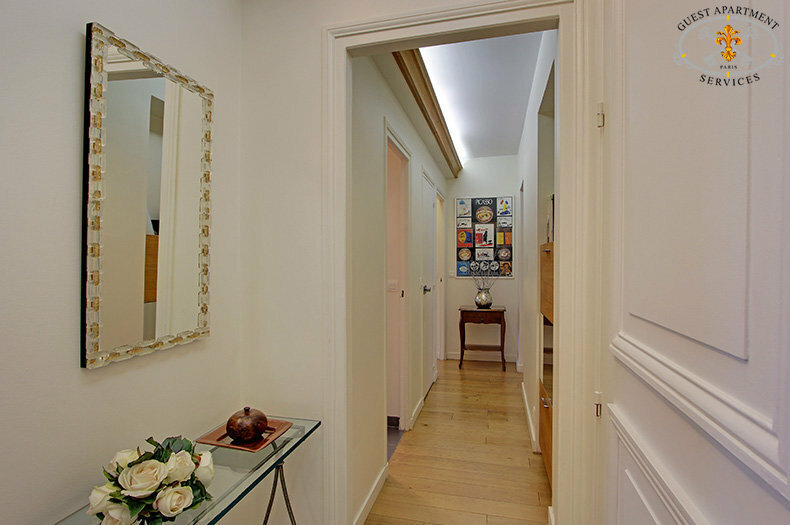 In the entrance, a large closet furnishes room for coats some of your luggage. This building is secure by intercom device. 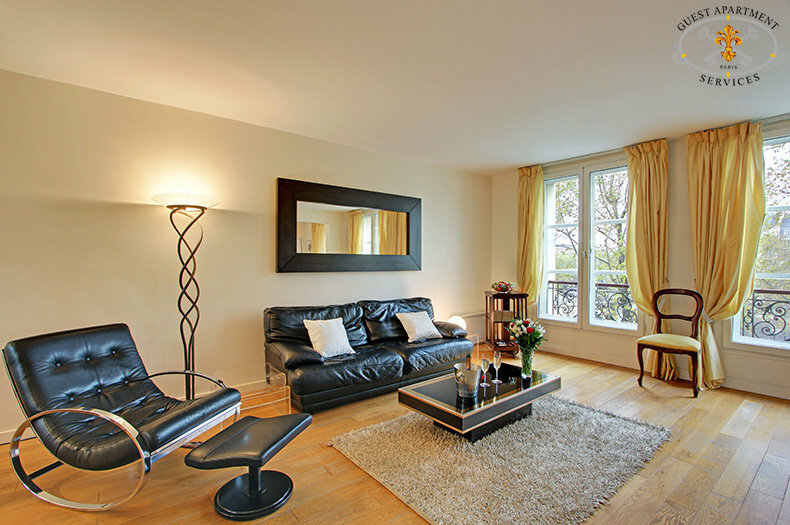 We would like to thank you for our wonderful stay in Paris and our beautiful apartment Nympheas. Your entire team, especially Christophe upon our arrival, made our stay most memorable and we could not have been happier. Once again thank you and bonjour.